Is India making the same mistake Pakistan made by allying with the US? The post-colonial history tells us that Uncle Sam has been more of a destabiliser than a divine presence in the region. Pakistan has been a close ally of the US since the 50s. But has the Islamic country been a real beneficiary by playing the western world’s game in South Asia? In its blind desire to get military parity with India and neutralise the existential threat from its eastern neighbour, Islamabad became a front for Washington in the NATO’s war against communist Soviet Russia. As a result, Pakistan, a newly born country, lost its strategic autonomy quite early in its life and became a pawn in the larger game of the western countries. America used to fete the Pakistani leaders and military generals whenever they visited Washington. This gave them a bloated sense of their importance. What used to serve the egos of the Pakistani leaders was not in the larger interest of the nation. Many of the evils afflicting the Islamic Republic today are by-products of its close embrace with the US. India, under the first Prime Minister, Jawaharlal Nehru, decided to make a different tryst with its destiny. Victim of colonial power for more than 200 years, it decided to chart out a different foreign policy path and, instead of becoming a camp follower, it took steps towards becoming the leader of third world countries. Non-aligned Movement (NAM) was a by-product of this thinking. No doubt New Delhi has been a close ally of Soviet Russia ideologically and strategically. It, however, never rented out its strategic autonomy and independence in foreign policy. But India, an emerging economy with overweening ambition, is ready to play Pakistan in the second decade of the 21st century. Unmindful of its colonial past and the history of the last six decades, New Delhi is willing to embrace the US in a close strategic hug, thereby auctioning its military independence and strategic autonomy. A leader of the NAM is in a great hurry to become a stooge of the US led alliance. Fearing the overwhelming presence of China in South Asia and the Asia-Pacific region, New Delhi, is willing to join the American camp to thwart the ambitions of Beijing. The Logistics Support Agreement (LSA) or Logistics Exchange Memorandum of Agreement (LEMOA) that the South Asian democracy has agreed to sign in principle with Washington, would give the American military access to India’s bases. That would mean that New Delhi becomes a military lackey of the US, the way that Japan, Philippines and South Korea are. The South East Asian nations have different historical experiences and concerns, and they have reasons to join an Asia-Pacific alliance meant to contain China. But India has its own place in history and nurtures a future which reflects its glory and achievement rather than being a flag bearer of another country’s ambition. It’s a fact universally acknowledged that America is in a desperate situation to play a leadership role in the world vis-à-vis China. Its depleted economic might limits its military ambition and outreach. 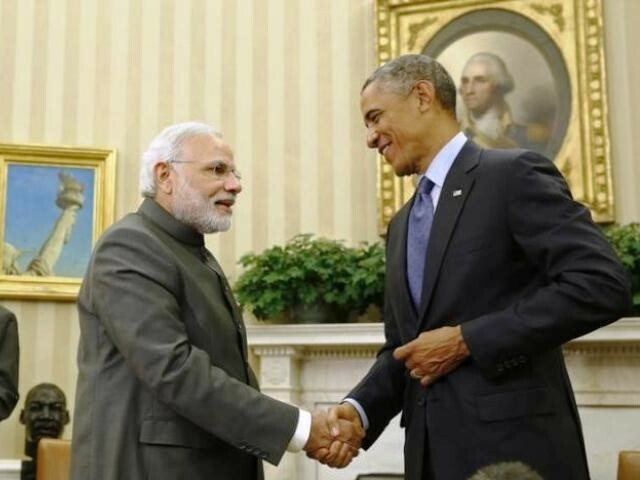 Washington wants to rope in New Delhi to play its game and compensate its declining power. The problem is that the governing party in India today is a Hindu right wing party, Bharatiya Janata Party (BJP), a group that has never participated in any anti-colonial movement and its ideological parent, Rashtriya Swayamsevak Sangh (RSS), always served as a stooge of the British during the freedom struggle. A party with such a dubious history is bereft of the larger vision that shaped the struggle for independent India. Prime Minister Narendra Modi, a man with highly constricted intellectual horizons, believes that by bringing India into a close military embrace with the US – he is venting the aspirations of new India. He wants India to think that anti-China strategic alliance with the west and a membership of the Nuclear Suppliers Group (NSG) are the best things that could happen to the country. But Modi, a man with limited ideology, does not understand that the corporatisation of the foreign policy might serve India’s corporate and business interests, but harms the larger vision of the nation. He does not understand that India’s interests and the interests of the west are at odds with each other. Terrorism in the region found its roots, not because of Pakistan but because of the western world. Today Afghanistan is suffering not just because of Islamabad; Washington played a great role in legitimising destabilisation in the Hindu Kush. A military alliance with the US would mean the sanitisation of the American sins in South Asia and elsewhere. Can we escape the consequences of accepting an international evil? If India allows Washington to launch drones from its territory against the Taliban or the ISIS, can we remain unscathed from the resultant consequences? A military alliance with America means India will also be drawn into war against terror, and that would make India even more vulnerable to terror attacks. Friendship with the US comes at the cost of South Asian solidarity. It will not allow India to normalise their relationship with Pakistan. Joining the American camp pushes Islamabad deeper into the rival camp. Any future friendship with China becomes all the more difficult. The LSA means institutionalisation of historical animosities in South Asia. You can choose your friends, but you cannot choose your neighbours. India has no option but to deal with its two neighbours – China and Pakistan. Why should New Delhi buy into the western notion that China’s rise is a threat to India? China is in a different league and India is nowhere close to the communist regime. Although ideally, establishing peace and stability in the larger picture would require New Delhi and Beijing to engage with each other more. However, at the moment, India’s alliance with the US creates tension in the region – with both the big neighbours looking at each other with greater distrust than ever before. If New Delhi thinks that military alliance with the western nation would bring stability or parity in South Asia, it suffers from myopia. Bilateralism between India and Pakistan suffers. Normalisation of relations between the two neighbours becomes all the more difficult. As a result, Afghanistan remains just as disturbed as it has always been. Overall, the new military alliance promises to cause more destabilisation in South Asia than has ever been witnessed before. If we don’t learn from history, history condemns us. 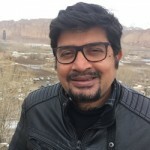 The author is a New Delhi based journalist covering South Asian and international politics. The intelligence of Indian journos is low and this is evident from this article. NAM was a product of Indonesia not India. Islamic countries were closed to India and Nehru also. Pakistan had GB as strategic autonomy since Independence. India used to pay money to USSR to get Kashmir Resolution vetoed, so much for Independent foreign policy. What Nehru foreign policy gave to India? India was never military Independent and had strategic autonomy. India cannot stop China. You are contradicting yourself, Nehru sent Army to support China and oppose Korean unification. You call that as Independent policy but oppose same with current Indian government. BJP didnt exists before Independence. RSS is not a political party neither now and not before Independence. Just because Modi doesnt want to give AP to China unlike Nehru doesnt make him anti-China. Congress is also running for NSG since 2008 not BJP alone. What is the vision of India,apart from Muslim appeasement? It is congress policy that Pakistan is responsible for terrorism, Isnt it was Nehru/Menon in 1955 declared there is only one enemy of India, Pakistan? Isnt India herself is an International evil or atleast in south Asia? India never had normalize relation with Pakistan. No we’re not. Are you lacking in history lessons or in common sense. When Pakistan became USA’s glove, right after 1947, it was a begging bowl and fundamentally sold itself to USA for money. In 1979, Pakistan literally became a mercenary for USA/Saudi alliance. In 1979, Pakistan was weaker. During the 70 year long history, Pakistan neither had good people to people relationships, money, might, trade, commerce. Pakistan wasn’t exporting anything to USA. Basically, Pakistan had nothing to sell to the USA except for itself. Pakistan neither had any soft sell, like democracy, pluralism. Pakistan’s economy wasn’t growing at 7% (although the lesser growth was also coming from US aid). Pakistan neither manufactured hairpins back then, nor it does now. Pakistan was weak in terms of integrity, sovereignty. None of its states were with Pakistan except for Punjab. Not Balochistan, not Bangladesh, not Sindh, not KPK. The author is absolutely clueless. He better go back to primary school and start reading history in the right perspective. He has been criticizing Modi & india for last 2yrs. He should 1st learn to write unbiased article without making personal comments on modi. Indians as opposed to Pakistan have always kept their integrity in check and reserved the right to make decisions that derived from internal nationalistic priorities. A recent example was the snub to the US and Boeing for France and Airbus. You have described the current economic and political state of US, I would say quite accurately. Now, what is beyond comprehension is that, if a person of your credentials can understand these facts so clearly, is the Indian leadership that has been put in place by a majority, not capable enough to see this? The rest of your write up is not only irrational and illogical, it is also an insult to a leadership which seems to be making the best out of the current international situation for its masses. While comparing the current Indo-US relationship with that between Pak and US, think over what you have written yourself. Is currently US really in a position to take India for a ride? Is India in a situation which Pakistan was when it fell prey to US bait? Nexrt time you are around an Elephant by any chance, look at the difference between the Elephant and an Ant crawling around on the ground then, crefully focus on the size and comapre the size and deeply think of the size difference between the two. Once you thoroughly and clearly undersand the difference in size, you will understand the difference between India and Pakistan. For all it fault, US has stood behind its allies sometimes to a fault. Pakistan is a country which systametically lied and deceived the US and you expect the US to stand by Pakistan. Well for us here in India we think that its exactly the opposite …. The problem here is of the mentality of the nation …. (1) He who knows not and knows not he knows not: he is a fool – shun him. (2) He who knows not and knows he knows not: he is simple – teach him. (3) He who knows and knows not he knows: he is asleep – wake him. (4) He who knows and knows he knows: he is wise – follow him. India is poverty struck nation where more than half the nation lives below the poverty line….this subservience to US is a drastic mistake and a big price will be paid in future by india. One thing most people overlook is that India is not a martial nation…their entire history has been under some imperial power or the other, they just trade masters……for close to a thousand years they were under muslims, then another 300 odd years under British empire. There are no friends in Geo-politics only national interests; At this juncture in time India is expedient in Americas imperial ambition and useful for their pivot towards containing China. However; it is clear and obvious that America is a dying superpower and is pretty much on a downhill slide, as such it is at wrong juncture in history India has decided to Align with US. The Us will use Indian territory for its war machine transits and refuelling; setting up India as prime target for China and Russian offence to contain the US. By Sanjay’s logic, the big tension between China and a lot of SE asia is cause by the alliance with the USA? gee, Vietnam is allied to the USA? Or for that matter, The alliance with the USA caused the incursioons of Chinese troops into India ? International politics is issue based. For example India and USA do not see eye to eye on pakistan getting more arms and ammunition, or Indian immigrants contributing to Social Security when they themselves cannot use it, or visa fee hikes or many other topics.. but they do agree on NSG, Terrorism, trade, limited military collaboration. You have very shallow understanding of international politics. it’s funny how all commies find refuge in pakistan websites these days, when did commies start caring enough about india to give her a advise….now the dying breed doing a chinese bidding on a US bogey about india in a pakistani website…maoists talking about nuclear power is exactly like saudis heading human rights at UN…illiterate commies would rather prefer india to go black than to have nuclear power or nuclear weapons while the real commies in china wouldn’t bat an eyelash for these nuts..
India always had relations with western countries since it inception but was not married to and dependent on A country like pakistan was. Even today India’s foreign policy is NOT married to US, Russia, UAE, SA, UK, IRAN or anybody. India looks for its own interest, which you have failed to notice. India continued to trade with Iran to the chagrin of US despite US sanctions. Pretend to have talks, but don’t talk, stall because India is happy with status quo where as pakistan is revisionist, just like Chinese. There would NEVER be any bilateralism… so NOTHING suffers. Lastly, It was Congress that acted as a stooge of British, became corrupt, self serving, vision less and still had the historical baggage that Nation cannot be run without them. Their appeasement policies, divide and rule policies in the name of cast, reservation, religion, language only created more divide. Is India making the same mistake Pakistan made by allying with the US??? It is not anti Modi. This author basically is clueless about Indo-US relationship. This did not suddenly evolve under Modi but has been a slow process that started in 1998 after India decided to have nuclear tests. US immediately put various embargos on India. Stobe Talbot and Jaswant Singh had a serious of talks from which emerged this strained relationship. slow burning poison. With no reason or rhyme. If being an “ally of the USA” results in become a state like Pakistan than ALL American “allies” must exhibit the same phenomena. However, that is not the case. Each “ally” of America has either benefited greatly or collapsed miserably based on its own ambitions and aims for itself. Examples of South Korea, Israel , Japan, Singapore, Germany, etc come to mind for the positive impact of US “alliance”. While Pakistan, Iran, Egypt, Saudi Arabia, etc come to mind in terms of the regressive effects of US alliance. Correction. We only get paid Rs. 12.25. That’s just enough for one single idli. If Pakistan is in one end of the spectrum of US relationship then another end is surely post war Japan, Germany, Canada, South Korea, UAE, etc. What makes you think that relation ship with US will turn India into another Pakistan and not another one of those above mentioned nations? After all we have no Kashmir to conquer and don’t face existential threat even from our number one enemy China. China can be our main enemy , main competitor and main partner depending upon circumstances. No pakistan simply sent a british along with some soldiers to capture the area and called it instant revolt and occupied the area… Like I have said before.. they have been revisionist from the day pakistan was created. Like LeT, JeM, ETIM (Uighyur), Talibaan, Al-qaeda, Haqqani Network.. and the Trade money you got of 33 Billion dollars? Is that all you can find ??? Pakistan’s greatest friend is China … rings any bells ??? Pakistan has that Stooge mentality NOT India ….